Israel's Supreme Court on Monday ordered the Israeli state to justify the route of the separation wall in Beit Jala's Cremisan valley in an apparent indication that the proposed land seizure could be canceled. Fifty-eight landowners, together with the Salesian convent and monastery, have battled for eight years against a 2006 Israeli military order to build the separation wall around Beit Jala and the illegal Gilo settlement. 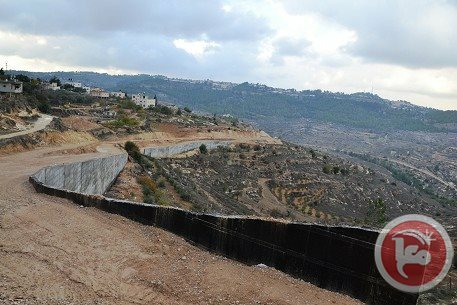 On Monday, Israel's Supreme Court issued a preliminary order giving the Israeli state until April 10 to justify why it could not alter the proposed route of the wall, which as planned would split the Salesian community, annex the Cremisan valley to Israel and seize land from local Beit Jala residents. The court ordered that all construction on the separation wall be halted until the Israeli state responds to the request. "If you look at where we started from when we entered the court with little hope for anything and now we have the situation where they have to justify the wall, it looks very promising," Anica Heinlein, an advocacy officer for the Society of St. Yves, which represents the nuns, told Ma'an. The Israeli Supreme Court set a new hearing for July 30 to discuss the answer of the Israeli state and responses to it by Beit Jala residents. St. Yves lawyer Zvi Avni said they are still some way from a final decision but the ruling shows that the Supreme Court found the case "convincing" and therefore asked the state to present its reasons for not abolishing the confiscation orders and not considering a route which would be less harmful to Beit Jala residents. "The burden of proof is on them (the Israeli state) to say why they want to put this wall here and not on the other side (of the valley)," Avni told Ma'an. International interest and the presence of church representatives and foreign diplomats at previous hearings has put pressure on the court, Avni said, which could explain the delay until July in issuing a ruling. But also key to the potential success of the case was the testimony of former Israeli generals from the Council of Peace and Security who argued that the suggested route of the wall was unnecessary in security terms, Avni said. The generals dismissed the Israeli state attorney's argument that the route of the wall was vital to prevent "terrorist" attacks on Gilo, such as shooting incidents in the past, and argued that an alternative route for the wall below the settlement would cause much less harm to Beit Jala residents while serving Israeli security needs. They argued that the proposed route was about land confiscation and would in fact increase insecurity in the area due to the presence of Israeli soldiers at security gates, Avni said. "We have always said that the real intention is to take over these lands," Avni told Ma'an. "If its so dangerous as you claim then why do you want to expand this neighborhood (Gilo)?" Avni says it is premature to say how important the court decision is but that he doesn't expect any "new surprises" from Israel. "We still have to see but there is a better chance that the community will stay with its lands," the lawyer said. If the route of the wall goes ahead it will divide the Salesian religious community on either side and turn a place which once provided refuge to local residents into an "army camp," the lawyer says. The wall would also annex the very last green spaces available to the local community and take away land farmed for generations in steep green plateaus. The latest ruling, while not final, is certainly a good sign the Israeli court will rule in favor of local residents and the Salesian community to change the route of the wall, Anica Heinlein says. "We went there with little hope, there was never no hope, and now it looks like we could win." The Israeli occupation forces (IOF) arrested at dawn Tuesday 16 citizens from different parts of the occupied West Bank, after confiscating computers and mobile phones from their houses. Eyewitnesses told PIC's correspondent that senior officers, accompanied by a large number of military patrols, stormed the town of Duma, south of Nablus, at dawn, where they raided several houses and arrested 7 youths after confiscating their computers and mobile phones. 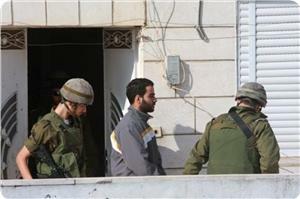 Two other citizens have also been kidnapped during raids of Palestinian houses in different areas of Jenin. Local sources pointed out that IOF soldiers stormed the town of Ajja to the south of Jenin, where they took photos of a number of houses and erected a military checkpoint at its entrance. Meanwhile, Israeli soldiers mounting military vehicles raided the towns surrounding the city of al-Khalil, and arrested four Palestinian youths after searching their houses, local sources told PIC's correspondent. 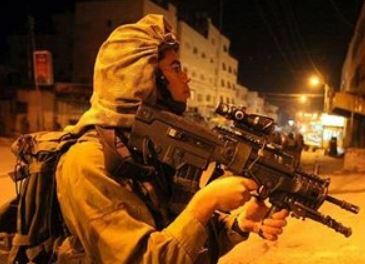 The Israeli forces also stormed the village of Tabaka south of al-Khalil, roamed its streets, and stopped and searched a number of Palestinian vehicles, eyewitnesses said. They served demolition notifications to a number of houses in the village under the pretext that they were built on areas under the Israeli rule according to the Oslo agreement. IOF also detained three citizens from the village of Obaidiya east of Bethlehem, and summoned four Palestinian activists to the Etzion center after detaining them for three hours at the Container checkpoint. The Palestinian government in Gaza warned of the Israeli persistent plans that aim to deport the Jerusalemites from their city, and appealed to the Arab and Islamic Nation to intervene. The government pointed out in a statement issued by the Ministry of Justice on Monday that the occupation practices are based on an integrated plan that aims to deport the holy city's native inhabitants, through demolishing their homes and properties at the pretext of unlicensed construction. The ministry considered the Israeli procedures blatant and flagrant violation of international laws, especially Article 147 of the Fourth Geneva Convention, which stipulates that “extensive destruction and appropriation of property of protected persons, not justified by military necessity and carried out unlawfully and wantonly are grave breaches." It added that the war crime stipulated in the Statute of the International Criminal Court cannot be ignored, and expressed concern about the policy of house demolitions adopted by the occupation. The Ministry of Justice also appealed to the Arab and international parliaments to pressure the Israeli government to halt demolishing the houses in the occupied city of Jerusalem. 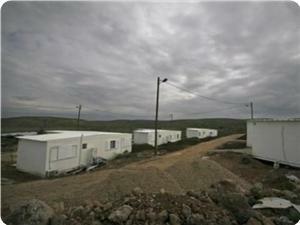 The Israeli occupation authorities set up on Monday night two mobile homes on the lands of al-Khader village to the south of Bethlehem. Local sources told PIC's correspondent that Israeli soldiers, accompanied by large mechanisms, removed a military tower from lands in the south of Khader village, and set up in its place two caravans, in the framework of the expansion of the outpost that has been recently set up in the region. Meanwhile, Palestinian farmers and workers said that settlers from the new settlement of Leshem, located in the north-west of the town of Kafr a-Dik to the west of Salfit, continued the construction works to expand their settlement at the expense of farmers' land. Researcher and observer of settlement expansion in Salfit Khalid Ma'aly pointed out that the Minister of Housing in the Israeli government had announced in 2013 the construction of the new settlement of Leshem on the lands of Kafr al-Dik. Jan. 31 was an unforgettable day for Hayla Bany Maniya, a 42-year old Bedouin woman and mother of eight children, who has lived her entire life in the Jiftlik area of the Jordan Valley in the northern part of the West Bank. 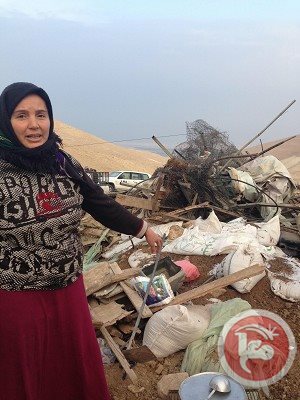 Known as Umm Mohammad, Hayla woke up to the sound of Israeli military bulldozers demolishing all thirteen sheds owned by three Palestinian families in al-Jiftlik town. 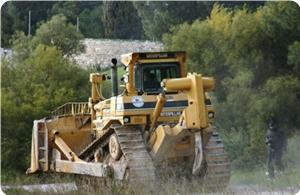 The Israeli Army considers this area a 'closed military zone' and a 'nature reserve'. Hayla's "home", as she called the shed, is among three residential structures, five animal sheds (each with a pen), three chicken coops, and one outside-kitchen with a traditional oven which were demolished. All were made of metal and covered by tent canvas. With all her belongings gone, left without hope, Hayla tries to show some strength to her children who did not have the courage to go to school that day. "On the day of demolition, six of my children were supposed to attend final exams at the nearest school," said Hanya with the tears in her eyes. The children usually ride on donkeys for three hours to the main road, and then take a bus for twenty minutes to reach their school. Through the demolition, Haya lost most of her family's belongings, part of her livestock and her children need to repeat the class as they did not pass the exam. Two more families have also been affected – 26 people in total including 13 children have been displaced. In addition, the families' livestock, of around 750 sheep are now without a refuge. "Our main source of income are our sheep, and like us are now left without shelter. Three goats died last night as the weather conditions are hard," says Hayla. The eviction comes at a time when families in Palestine are struggling to recover from a severe winter storm, which has damaged or destroyed hundreds of homes and animal sheds. The widespread vulnerability of people in rural communities who depend on livestock is increasing. Displacement has serious immediate and longer-term physical, socioeconomic and emotional impact on families and communities in Palestine. It results in the disruption of livelihoods, reduced standards of living and an increased dependency on humanitarian aid. In many cases, it also disrupts access to basic services such as education, water and sanitation. 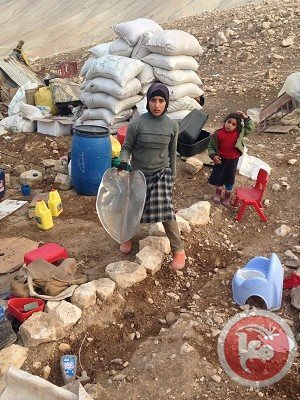 During the Jiftlik demolition, the families complained that the Israeli authorities also damaged the water pipes connected to the nearby Qarzaliya water spring as well as a traditional oven (known as taboon) and two plastic water tanks. According to Hayla, this is the third time their home has been demolished. The first demolition followed an evacuation order when the area was declared "a closed military" zone in 2010 and the second in 2011 when the area was declared a "nature reserve". The negative psycho-social impact also extends to the thousands of Area C Palestinian residents threatened with outstanding demolition orders. 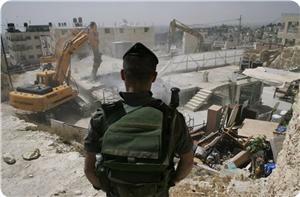 They live in fear that their homes or other structures could be demolished by the Israeli authorities at any moment. According to humanitarian organizations working in Palestine, the number of structures demolished by the Israeli authorities in the Jordan Valley in 2013 more than doubled, from 192 in 2012 to 393 in 2013. UN OCHA in Jerusalem reported that, in 2013, the Israeli authorities demolished 663 Palestinian-owned homes and livelihood structures, displacing over 1,000 people, 25 percent more people than in 2012. In addition, OCHA reported that 122 out of the total demolished structures in the West Bank, including East Jerusalem, were donor-funded, of which 49 structures were funded by the EU and/or its Member States. Fourteen agencies, part of the Association of International Development Agencies (AIDA) and other regional networks of human rights, had asked the international community to put pressure on the Israeli Authorities to cancel the order of eviction against the families in Jiftlik, before the demolitions took place. "We are writing to urge you to take action to halt the imminent eviction of Palestinian families, including 15 children, from their homes in the Jordan Valley village of Jiftlik." In the Foreign Affairs Council Conclusions on December 2013, the EU warned "against actions that undermine the negotiations," citing grave concerns regarding house demolitions. On the 19 December, the EU missions in Jerusalem and Ramallah issued a statement expressing serious concern over recent demolitions, recalling the 16 December 2013 Council Conclusions as well as the 14 May 2012 Council Conclusions, where the EU "called upon Israel to meet its obligations regarding the living conditions of the Palestinian population in Area C, including by halting the forced transfer of population and demolition of Palestinian housing and infrastructure." As National Security Adviser Ms. Susan Rice recently stated in her 4 December 2013 remarks at the Human Rights First Annual Summit, "land confiscations and home demolitions must end for a culture of peace to take root." The humanitarian Aid and Civil Protection department of the European Commission (ECHO) has been responding to the needs of the most vulnerable Palestinians since 2000, with particular attention to those affected by demolitions and at the risk of displacement. Israeli occupation forces (IOF) destroyed hundreds of trees in Fakhit hamlet near Yatta town, south of Al-Khalil, on Monday morning. Coordinator of the anti-wall and settlement committee in Yatta, Ratib Al-Jabour, told the PIC that IOF soldiers burst into the hamlet and bulldozed hundreds of trees planted only few weeks ago with the support of international organizations. He said that six thousand trees were planted over an area of 1,200 dunums, adding that the hamlet and seven other villages east of Yatta are threatened with Israeli displacement and demolition. 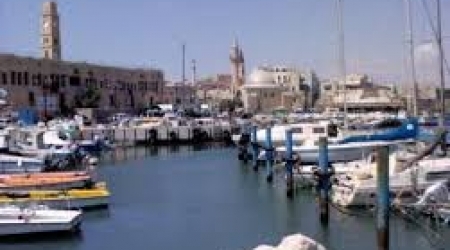 Ahmed Ouda, former member of Akka municipal council, warned Palestinians ,in the old city of Acre, of selling their homes to Zionist extremist groups aimed who tried to Judaize the city. Ouda said that the extremist Zionist groups seek to implement a large and dangerous scheme to buy many homes in (Al-Mablata district) Anis Feran square, in attempt to house highly extremist Zionist students. Ouda stated that the plan includes the establishment of a Jewish museum in the district, in addition to a direct route between al-Remal synagogue (located behind the targeted homes) and Anees Feeran district. Ouda called upon the officials in the city to prevent the establishment of these extremist Zionist schools, emphasizing the importance of a unified and a firm stand to stop this dangerous scheme. Israeli occupation forces(IOF) attacked on Monday at dawn Bab al-Awda village near Bisan checkpoint in the Jordan Valley northern the West Bank. 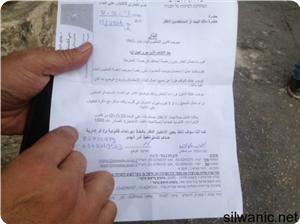 Locals said that Israeli forces demolished the tents erected by activists and arrested all of the activists. Some of the detainees were released and some others remained under arrest, they added. During the attack, Israeli soldiers confiscated the Palestinian flags and damaged activists’ properties. Some of the striker UNRWA employees and Palestinian activists established al-Awda village to send a message to the international community and UNRWA about the repressive measures practiced against Palestinian refugees recently. 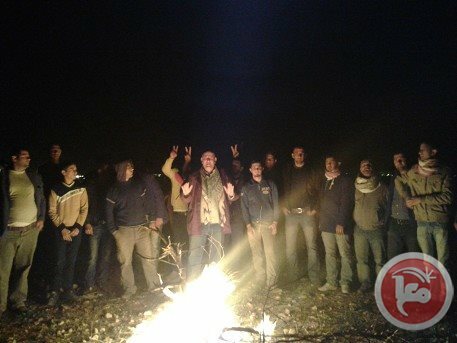 Palestinian and foreign solidarity activists pitched Ein Hajla village in northern the Jordan Valley two days ago to protest Israeli occupation decisions to confiscate the valley. Hamas Movement has strongly condemned the continued Israeli racist practices against the Palestinian people and properties most recently was the break-in into Bab Awda village amid international silence. 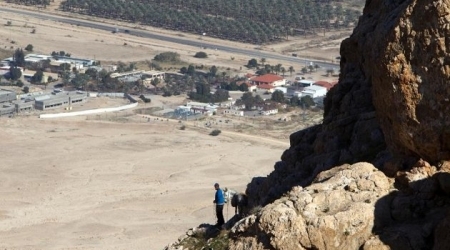 Hamas' statement came following the Israeli attack at dawn Monday on Bab Awda village built by Palestinian and foreign activists near Bissan city in the northern Jordan Valley. The Islamic Movement stressed the Palestinian people’s adherence to their land, holy sites, and constants by all possible means, saying that they will never accept fragmented solutions at the expense of their legitimate rights. The movement hailed the activists' efforts challenging Israeli settlement and Judaization schemes, calling for continuing popular and resistance activities against Israeli plans. 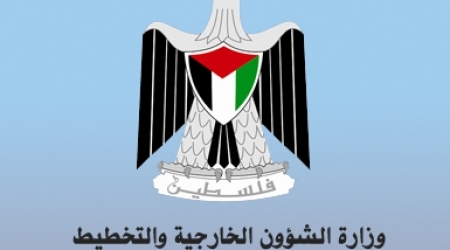 Ministry of Foreign Affairs acclaimed the UN humanitarian coordinator for the Palestinian territory’s position criticizing Israel's demolition of 36 homes in the occupied Jordan Valley last week. “The demolitions in the Jordan Valley community of Ain el-Helwe on Thursday displaced 66 people, including 36 children,” James Rawley earlier said in a statement. "I am deeply concerned about the ongoing displacement and dispossession of Palestinians... along the Jordan Valley where the number of structures demolished more than doubled in the last year,"
The ministry in a statement Sunday considered this bold position an emphasis on the Palestinians’ historic, undeniable right to the land of Palestine. The ministry called on the United Nations to go beyond the criticizing remarks and play real supporting role towards the Palestinian cause by taking practical steps to prevent the [Israeli] occupation from going too far in colonial settlement activity or displacement policy. Palestinian sources in occupied Jerusalem said that the Israeli occupation authority (IOA) distributed recently 24 demolition orders against European-funded homes belonging to Palestinian families from Al-Jahalin Arabs to the east of the holy city. The sources explained that the homes to be razed were donated and funded by European human rights groups in the wake of the damage that happened to the residents' homes and tents as a result of the devastating weather conditions in the winter of 2012-2013. The Israeli army's civil administration claimed that the European-funded prefabricated homes are illegal and unlicensed and created housing expansion and a change to the style of architecture in the area. However, the Palestinian residents asserted that their destroyed homes and structures were only replaced with new ones and their number did not change or take one meter extra from the area. Although, the natives of Al-Jahalin hamlet have been living in the area between Issawiya and Anata town for more than 60 years, the Israeli army's legal advisor keeps claiming that the residents broke into the area and seized it illegally. The Israeli decision to demolish their homes will lead to the displacement of 68 Palestinian families composed of 450 individuals. Al-Jahalin Arabs moved to live in this area in the early 1950s after the Israeli occupation forces expelled them from their homes in the Negev region. Palestinian and international activists erected a new protest encampment called "al-Awda," or "Return," near the Bisan checkpoint in the northern Jordan Valley on Sunday morning. Another activist told PNN that the occupying forces has fired grenades light in the sky of the region in preparation for the storm, and that a large number of heavily armed Israeli soldiers are preparing to storm the village. The occupation forces began to spread in the vicinity of the village since the morning, and the imposition of their security measures, after they had notified the activists to evacuate the village, until the end of the day. Muhammad Lutfi one of the activists who are in the village's told PNN that the jeep belonging to the intelligence occupying notify them and give them until the end of the day to evacuat the village . The occupation forses is attacking the vellage. solders arounding us. Sound and light bombs all over the place. We dont have food or water. But we will never give up. We will win and we will keep the fight lutfi Said. Israel had prevented journalists from reaching the village and imposed strict measures for entry or exit to the village. Khaled Mansour, a member of the political bureau of the People's saed that the establishment of this village, to impose their it before dawn, He added we want to confirms that the Jordan River is the borders of a Palestinian Jordanian and we can not accept any Israeli presence we also can not accept any international presence substitute for Palestinian sovereignty over the length of the border crossings. The national bureau for defending the land and resisting settlement said Israel escalated its demolition of Palestinian homes and property in occupied Jerusalem and the Jordan Valley despite the peace talks with the Palestinian Authority. In a report issued on Saturday, the national bureau stated that the Israeli municipal council in Jerusalem has demolished several homes in Beit Hanina and Issawiya and issued 18 demolition orders against other homes at the pretext of unlicensed construction since the peace negotiations started. Its report stated that the Israeli army in the Jordan Valley knocked down four homes belonging to Ka'abneh family in Al-Masfah area in Jiftlik and demolished 50 homes and structures in Umm Al-Jimal hamlet. The UN humanitarian coordinator for the Palestinian territories criticised Israel's demolition of 36 homes in the Jordan Valley and urged a halt to such actions in the West Bank. 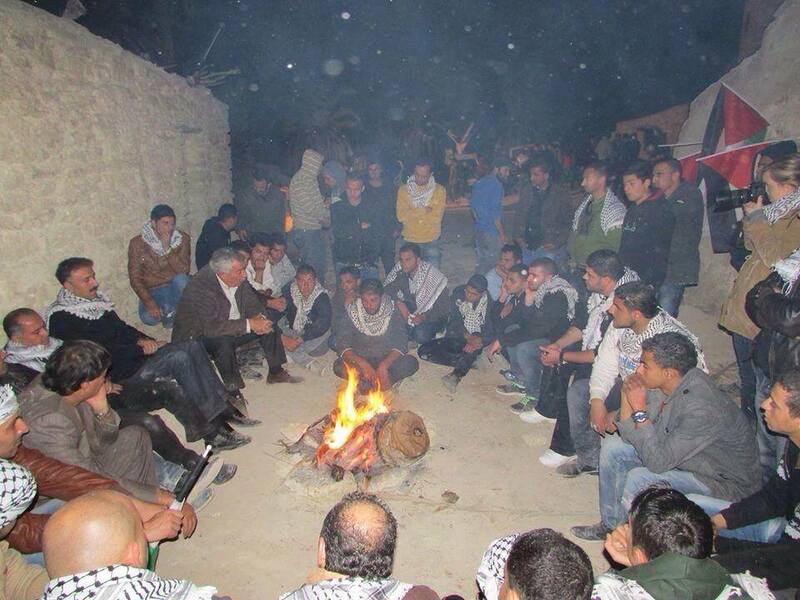 Hundreds of activists, meanwhile, staged an overnight demonstration in the Jordan Valley region. The moves came as fresh opinion poll evidence showed that faith in the Middle East peace process has largely evaporated among both Israelis and Palestinians. 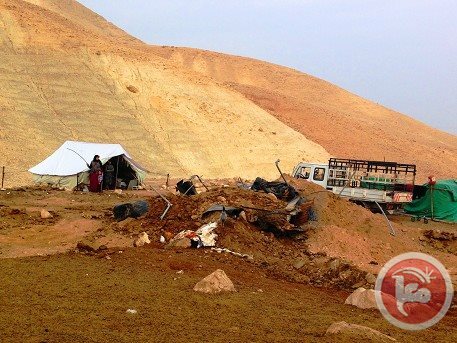 The demolitions in the Jordan Valley community of Ain el-Helwe on Thursday displaced 66 people, including 36 children, James Rawley said in a statement. "I am deeply concerned about the ongoing displacement and dispossession of Palestinians... along the Jordan Valley where the number of structures demolished more than doubled in the last year," he said. His office said more than 1,000 people had been displaced last year in the West Bank and annexed east Jerusalem by demolitions on the grounds that homes had been built without Israeli permits, "which are virtually impossible to obtain". 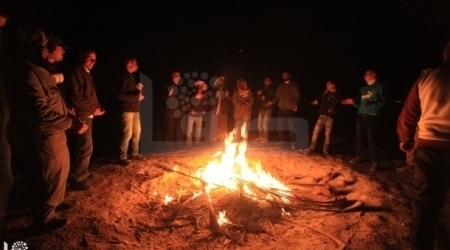 On Friday, around 300 Palestinians together with Israeli and foreign activists set up camp in abandoned houses near Jericho in the West Bank to protest against Israel's refusal to pull out of the Jordan Valley in case of a peace deal, an AFP photographer said. 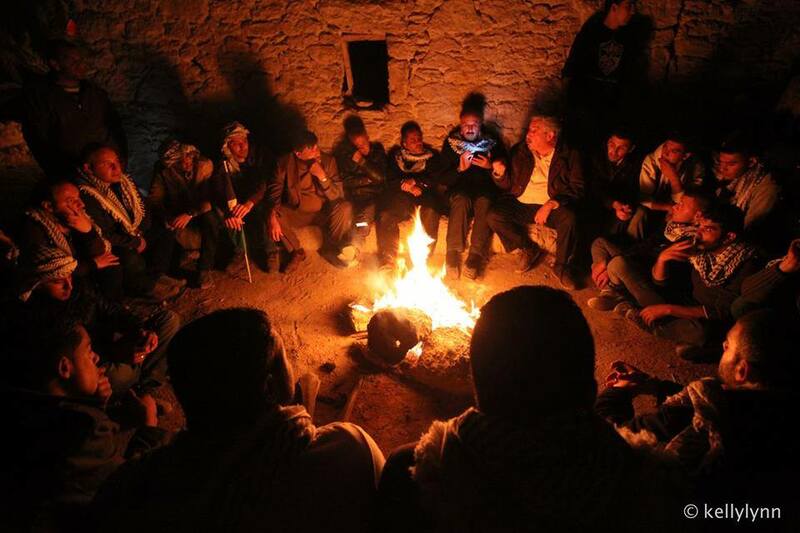 The demonstrators in Ain Hijleh village were equipped with generators and said they planned to spend the night in around a dozen of the houses, as Israeli troops and police kept watch from a distance. They held a banner reading: "No peace with settlements." Their action -- dubbed "Melh al-Ard" (salt of the earth) -- aimed "to revive an old Palestinian Canaanite village in the Jordan Valley", to counter any Israeli annexation plans, the activists said in a statement. They condemned Jewish settlement construction in the West Bank and the Israeli-Palestinian peace process brokered by US Secretary of State John Kerry. His efforts would "establish a disfigured Palestinian state and recognises the Israeli entity as a Jewish state", they said. 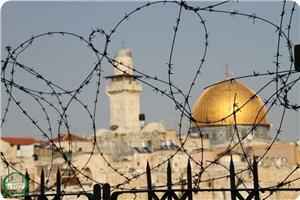 Such a state would put Arab Israelis at risk of deportation at any time, the activists said. Faith in the Middle East peace process has largely evaporated among Israelis and Palestinians in the two decades since the Oslo accords and a famous White House lawn handshake, a new poll found Friday. According to the Zogby Research Services poll, neither side has much confidence in the new push for peace being led by Kerry, which the pollsters believe is proving a hard sell. Although two decades have elapsed since then Palestinian leader Yasser Arafat and Israeli prime minister Yitzhak Rabin shook hands watched by then US leader Bill Clinton, "it is clear several deep differences exist" plaguing the atmosphere between the two sides. "Twenty years later only 18 percent of Palestinians and 19 percent of Israelis view Oslo as a positive development in the history of their relationship," the poll said. Both sides believe the other is not committed to peace. And only around a third of people in each community sees a two-state solution as feasible, even though 74 percent of Israelis and 47 percent of Palestinians agree it is the desired outcome. "From the results of this poll, it is clear that the past 20 years have taken a toll on the confidence both Palestinians and Israelis have in the peace process that began with the 1993 signing of the Oslo accords," the poll said. Kerry is trying to draw up a framework agreement which would set out the end game in the resumed negotiations and guide the talks going forward over the next few months. Twenty years ago both Palestinians, some 61 percent, and Israelis, some 54 percent, said they "were hopeful" when the Oslo accords were signed, setting out a roadmap for the peace process. The poll was carried out in the Middle East in August 2013 among 1,000 Israelis and Palestinians, just as Kerry persuaded the two sides to resume talks after a three-year hiatus.